The role of gender in childhood development has been a widely debated topic for decades. Many argue that from the moment children are born we shower them in stereotypes. Blue blankets for boys, pink for girls. 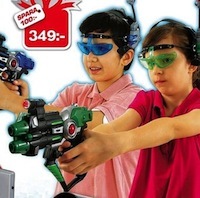 Nerf guns for boys, dollhouses for girls. Proponents against these stereotypes say the choices we make in which toys we advertise to children and choose for them have a direct effect on their behaviors — rather than their behaviors guiding their preferences. 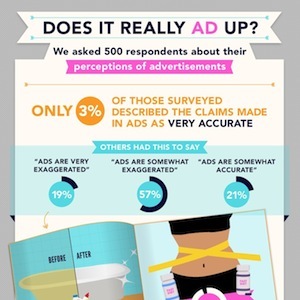 Many have pushed for more gender-neutral advertising, and after some complaints they are getting closer to what they want. 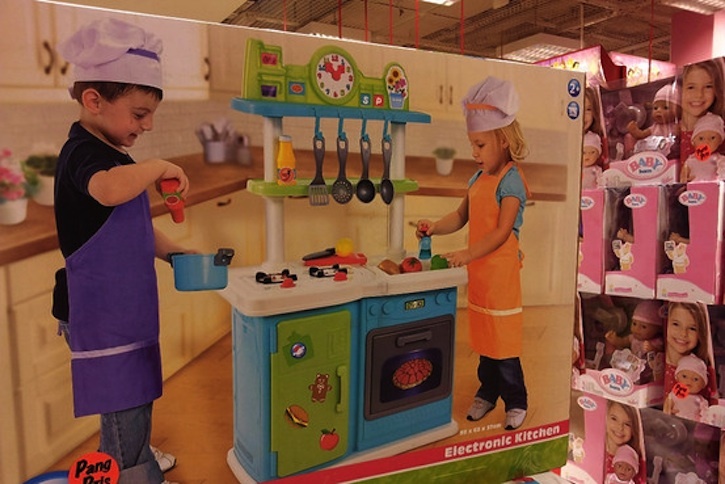 Recently, Sweden’s largest advertising watchdog, the Reklamombudsmannen (‘RO’ for short), criticized Swedish Toys “R” Us brand licensee, Top-Toy, for catalogs which emphasized traditional gender roles. Top-Toy listened and responded with this year’s gender-neutral toy catalog. 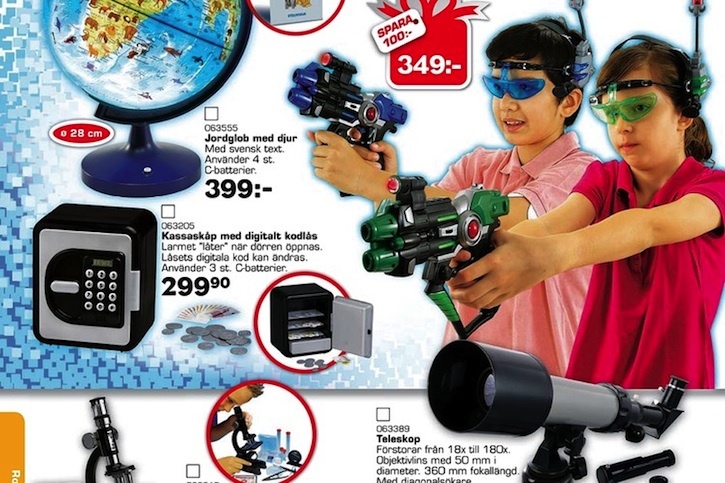 The catalog features images like a boy blow-drying a girl’s hair, a boy and girl both playing in a ‘Happy House’ kitchen, and a boy and girl both shooting a gun. 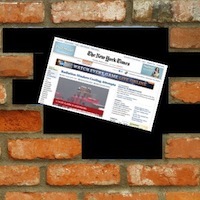 They even went to greater lengths to train employees to be more aware of stereotypes. For example, if a parent comes in and says they are looking for a toy for their daughter, they no longer just send them to the doll section. Instead they ask, “What are your daughter’s interests?” and then direct them accordingly. Since the catalogs release, it has received mixed criticism from the public. 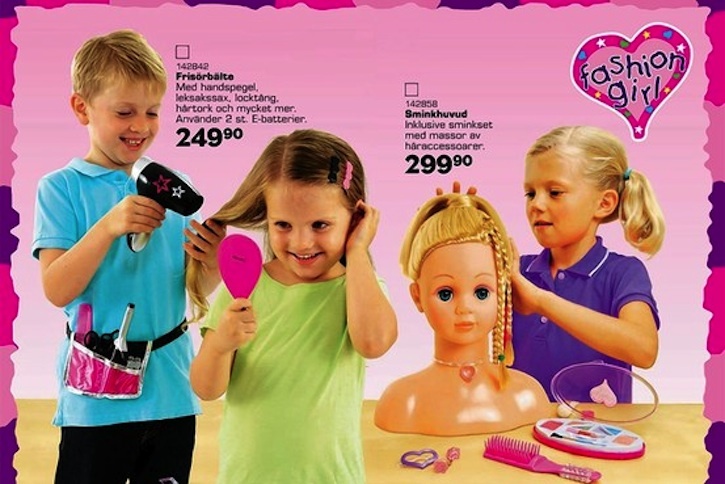 It will be interesting to see if this new advertising affects the choice of toys that boys and girls in Sweden desire.